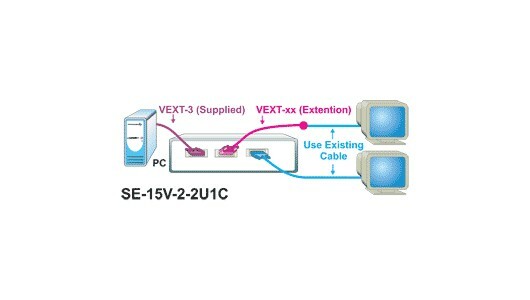 This VGA switch enables 1 computer to be switched between 2 VGA monitors. The input is terminated in 75 ohms. One Male 15 pin HD input connector. Two female 15 pin HD output connectors. The outputs can drive a standard 75 ohm load.